Veran's mission is to extend life through earlier diagnosis and the delivery of minimally invasive therapies for interventional oncology procedures with unique navigation technologies. 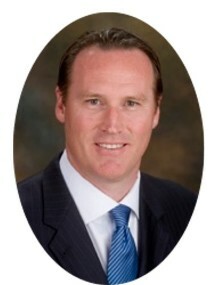 Mr. Pesterfield was previously with Stryker Corporation, where he held the position of Global Vice President and General Manager, in charge of the Global Surgical Navigation Business and a member of Stryker Instrument’s $1.5 billion executive team. Through his leadership, the business transformed from an early stage technology into a profitable high growth global business. His leadership contributed to strategic attributes extending across an $8 billion corporation comprised of 21,000 employees. He also served in global leadership and innovation, sales and customer care leadership, global marketing and research and development. Mr. Pesterfield holds a BBA in Marketing from the University of Nebraska. CEOCFO: Mr. Pesterfield, what is the concept at Veran Medical Technologies? Mr. Pesterfield: Veran Medical Technologies has proprietary electromagnetic navigation technology that helps physicians reach challenging areas of the anatomy accurately and efficiently. We are also very focused on utilizing our technology to reduce healthcare costs by allowing our physician customers to do more in a single patient visit. CEOCFO: What does that really mean? Mr. Pesterfield: Essentially we create a low magnetic field around a patient, load their CT Scan data into our navigation system and track our sensor-tipped instrumentation throughout the mid-thoracic area of the patient during minimally invasive procedures such as bronchoscopy and percutaneous needle procedures. Very simply put, we provide navigational guidance during medical procedures. CEOCFO: How is what you are offering different, better or more unusual that standard procedures? Mr. Pesterfield: No other navigation system on the market accounts for anatomical movement that occurs in the mid-thoracic area of a patient during a procedure. Most notably in the lung, the small targets that physicians need to reach in order to secure a biopsy or apply therapy are constantly moving as the patient breathes. Older navigation technology doesn’t monitor this movement and the physician never knows if the target represented on the monitor actually matches the target inside the patient! The worst part is that these older systems actually use a full inspiration CT scan to create their maps for navigation; meanwhile the patient never reaches full inspiration during the procedure. Also, our system does not require the use of secondary imaging such as fluoroscopy. Finally, Veran’s navigation system is completely portable while other systems require a dedicated room that it has been calibrated to. Therefore, multiple departments in the hospital can utilize the same navigation system. CEOCFO: Is the product available today? Where are you in the process? Mr. Pesterfield: It is available today. We have our required regulatory clearances and we’re currently selling in the US, China and Hong Kong. Cancer has no geographic boundaries thus our technology has global application. If you specifically look at lung cancer, it kills more people than breast, colon, and prostate cancer combined. This year alone lung cancer will kill almost 160,000 people in the U.S. and over 1,300,000 people globally. Our technology is a key piece of the puzzle that can positively impact lung cancer survival rates regardless of geography. While we are very focused on executing today and experiencing strong growth, we are also engaging the healthcare investment community so we can secure additional capital to fund commercial expansion and future growth. CEOCFO: It seems every doctor should have you system? Mr. Pesterfield: We certainly think every Pulmonologist, Thoracic Surgeon, Interventional Radiologist and hospital that is focused on building a comprehensive cancer program and providing world class care should have our technology. Our technology truly represents the next generation in soft tissue navigation to enable earlier detection and treatment. Medical navigation technology has been around since 1995 and primarily used in neurosurgery, spine surgery, ENT surgery, and orthopedic surgery where things don’t move around as much. However, it has been a technological challenge in soft tissue because the anatomy is moving which requires a high degree of accuracy when enabling minimally invasive diagnosis and therapy. We launched our first generation system in 2010 for CT based percutaneous procedures and our second-generation system in early 2012for endobronchial based procedures. Approximately 10% percent of hospitals doing these procedures in the U.S. have soft tissue navigation technology. Therefore, there is a great opportunity to grow and bring this enabling technology to more healthcare providers. While there is an alternative technology on the market, we address the challenges of today and the future differently because our technology was specifically engineered to provide high accuracy guidance throughout the entire procedure while tracking soft tissue movement and enabling access to small difficult to reach lesions via multiple approaches. CEOCFO: Would you please explain what were you able to put together so that you can see into the soft tissue or navigate in the soft tissue? Mr. Pesterfield: There are three areas we focus on. The first is accuracy. We use CT data to capture the patients’ anatomy then transfer that data to our planning station so the physician can build the best maps and plan the optimal route to the target. The second is access. We embed the worlds smallest electromagnetic sensors in our instruments so they can track them during the entire procedure as they move through the anatomy until they ultimately reach the target. The third is procedural efficiency. We are able to give the physician different tools and procedural approach options to get to their target. When we add all of this together we provide the physician great maps, smart tools, and different procedural options in order to get the patient answers. CEOCFO: What is involved as far as training on the physicians end? Mr. Pesterfield: We’ve designed our technology to be very easy to understand and use. We have a training center at our corporate headquarters in St Louis where we bring in physicians in for one-day didactic training course. We can also send our people to their facilities to be trained. After our one day training course the physician generally becomes comfortable and efficient after five procedures. Our Sales and support personnel are their to support our customers after we install the equipment into the hospital and we offer a innovative support system call vSupport which allows our customers to basically face time with our clinical support team should they have question before or during a procedure. CEOCFO: What changed from the time that you first conceived the product, to when you tried it out, to today? Mr. Pesterfield: The biggest change has occurred in the lung cancer space. Years ago the challenge was hitting two-centimeter suspicious nodules in the outer part or periphery of the lung. Most lung cancer patients are now discovered or diagnosed with late stage or advanced lung cancer. Today, our customers are facing two new challenges. First, the targets or suspicious nodules they need to reach are much smaller. Often less than one cm in size! Also, as we learn more about the periphery of the lung it is clear that almost 40% of these targets do not have an airway to them. This means that way to often patients are told they will need to make a return visit to the hospital after a bronchoscopic procedure to receive a needle or percutaneous procedure in another department in order to find out if they have cancer. This adds a lot of extra cost and hassle for all parties. Our new SPiNPerc procedure allows one doctor to perform both procedures in one visit. CEOCFO: Was that not always the case? Is that not a given? Mr. Pesterfield: No, unfortunately patients are facing a very complex and frustrating pathway to gaining a definitive diagnosis for lung cancer. Multiple visits to multiple departments with multiple doctors is the current standard. That is the real power of SPiNPerc and Veran Medical Technologies is the only system in the world that can offer this procedural innovation. CEOCFO: Are there competing technologies? Mr. Pesterfield: There are competing technologies, but we approach solving the problem very differently. The lung is moving during the procedure so we want to give the physician the most accurate information and guidance via our maps and tip track instruments so they can get to very small difficult to reach lesions. We also know that all lesions can’t be reached by a single approach so we offer the physician more than one approach to get to the target and the patient answers. The truth is our main competitors navigation system will actually take the physician to a different location within the lung then our system. We are very excited about the glaring differences in our technology. CEOCFO: Where will kidneys and liver come in? Mr. Pesterfield: Our percutaneous application is used to guide percutaneous biopsy needles and ablation probes. Just like in the lung, we use CT data to locate the lesion, plan the best route, and guide instruments like a biopsy needle accurately to the lesion. Many times the location of the lesion makes it very difficult to get to which often times means multiple CT scans are required and it can take a long time to complete the procedure. Because we give the physician a path to follow with depth and trajectory information we can reduce procedural time and radiation exposure to the patient and staff. If the patient is a candidate for percutaneous ablation therapy we can also guide the ablation probes to the target and overlay the ablation coverage area relative to the lesion so they can increase their confidence level that they have effectively treated the cancer. CEOCFO: What is the plan to reach more hospitals and more doctors? Mr. Pesterfield: Currently, we are in the process of raising additional growth equity in order to expand our commercial organization and build our brand recognition. We are also expanding our marketing reach and partnering with hospitals and physicians to build awareness around our technologies ability to help diagnosis and treat cancer earlier. We have got a comprehensive portfolio of tools to assist our customers promote their services, build awareness, and ultimately impact survival rates of their cancer patients. CEOCFO: Regarding funding, certain conditions are in and out of favor at different times with investors. Where does your product fit? Is this something that is overall being looked at or not so much these days? Mr. Pesterfield: Early diagnosis and treatment of cancer is a very hot area. We believe we are in a unique position to provide attractive returns to our investors, enable world-class cancer care, and most importantly improve survival rates for lung cancer patients. We are FDA cleared and demonstrating strong revenue traction. We are helping to address a huge problem with lung cancer and we are excited the United States Preventative Services Task Force and CMS have established coverage and reimbursement guidelines. We have introduced a procedural innovation in SPiNPerc that aligns with today’s healthcare environment of reducing risk, reducing cost, and improving outcomes. Last but not least, at Veran we have talented people that are passionate about bringing innovated technology that enables healthcare providers to help save lives. CEOCFO: What did you learn at Stryker, either what to do or what not to do, that has been most helpful at Veran? Mr. Pesterfield: Three fundamental things, number one is to make sure you have got the right strategy and its executable. Number two; make sure you have the right structure in place to execute your strategy. Number three; make sure that you have got talented people that now how to execute. The common tread between the right strategy, structure, and talented people is execution. I know those are big, broad terms, but if you have these things right along with enabling technology and a big market you have got a great opportunity to be successful. CEOCFO: Why should the medical and investment communities pay attention to Veran Medical Technologies? Mr. Pesterfield: We have cutting edge technology that helps in the early diagnosis and treatment of one of biggest healthcare problems the world faces, lung cancer. Our technology is in alignment with the current direction of healthcare in terms of being able to allow physicians and hospitals to partner to reduce risk, reduce cost and improve outcomes. At the end of the day, we are all about saving lives.